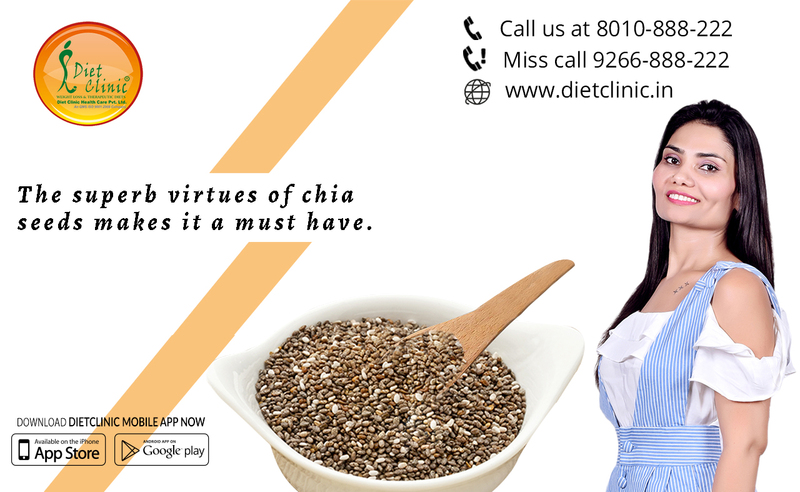 Excellent source of Omega-3, the chia seed is a trending superfood says Dietician Sheela Seharawat from Diet Clinic. Chia seeds are naturally rich in "good fats". They contain about 15% alpha-linolenic acid (ALA), a fatty acid that belongs to the omega-3 family. Another advantage - the seeds also contain polyunsaturated omega-6 fatty acids (between 5 to 8%). Other experts at Weight Loss Clinic confirm that high in dietary fiber and soluble, chia seeds promote intestinal transit and help prevent cardiovascular diseases, some cancers, and Type 2 diabetes. Chia seeds contain 23% protein. They are also a good source of B9 vitamins, calcium, magnesium, antioxidants, and minerals.